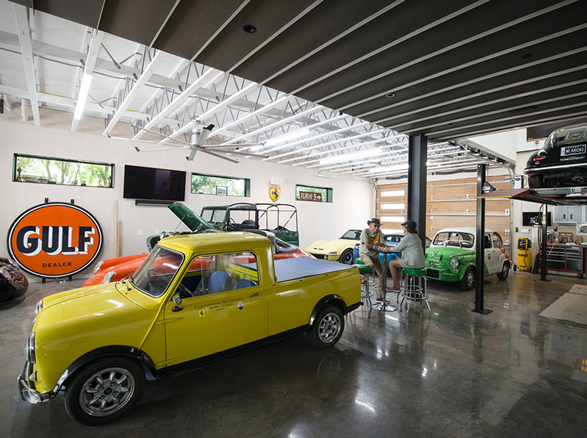 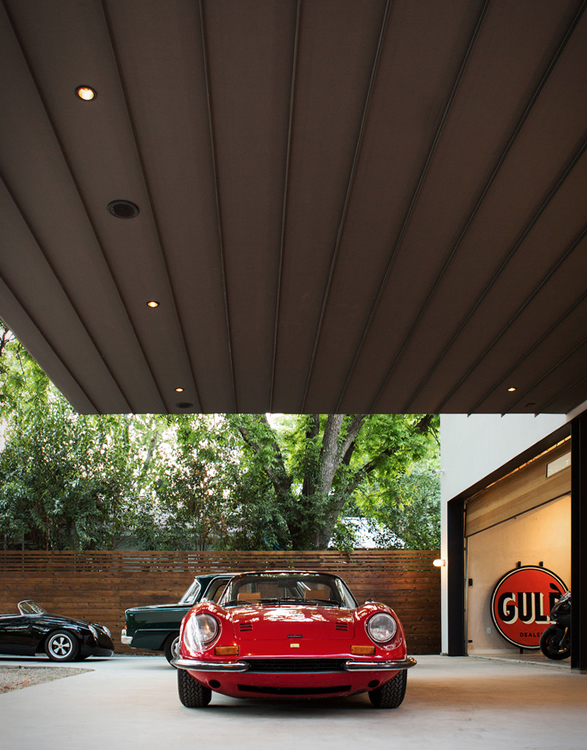 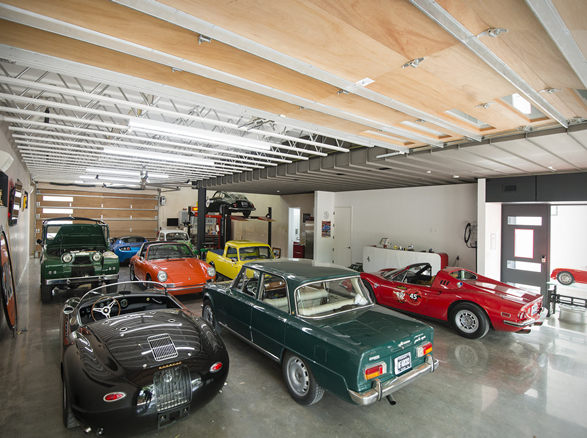 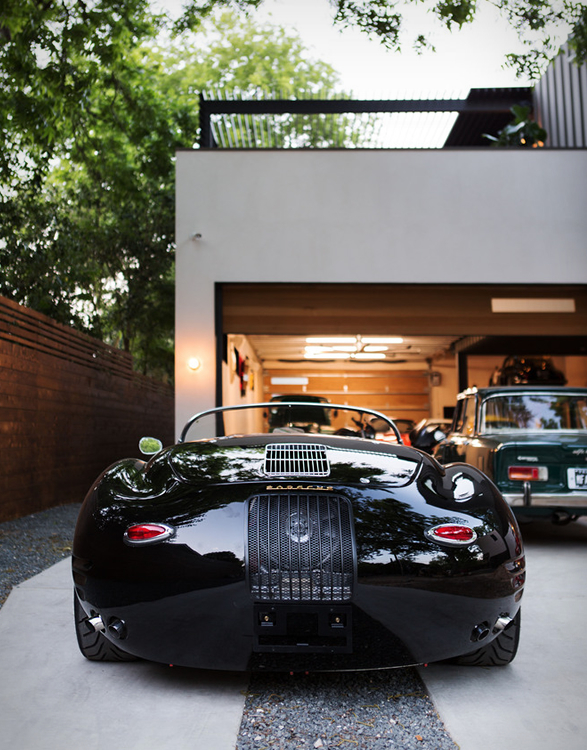 Autohaus is a petrolheads´ dream come true, a car collectors´ garage and residence in central Texas. 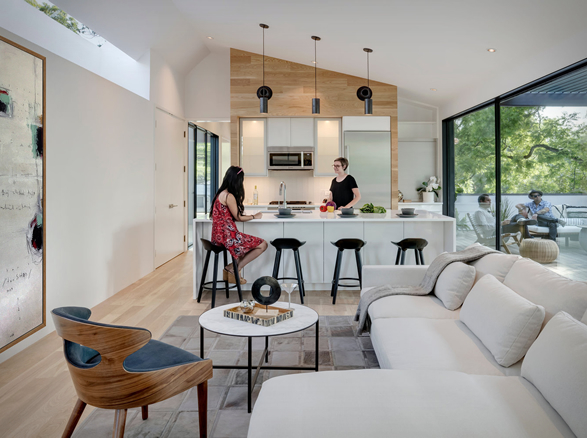 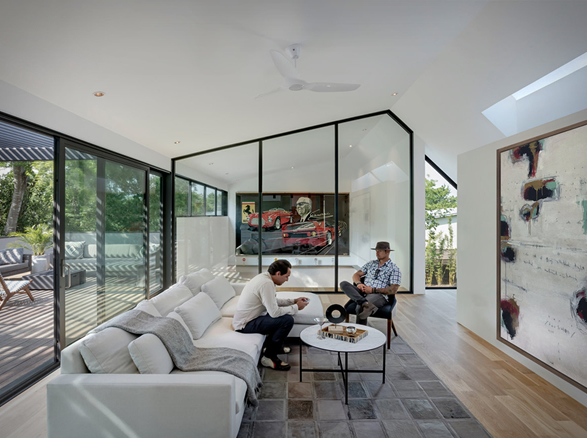 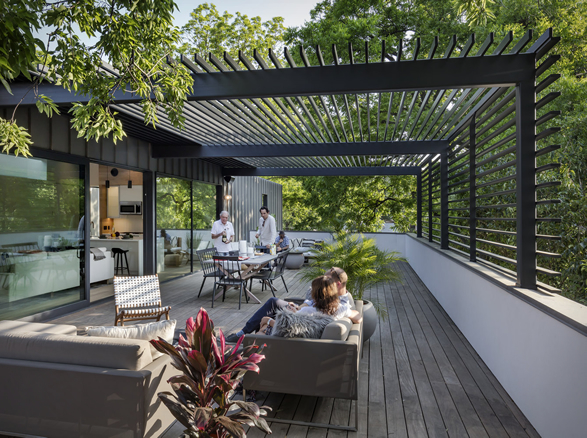 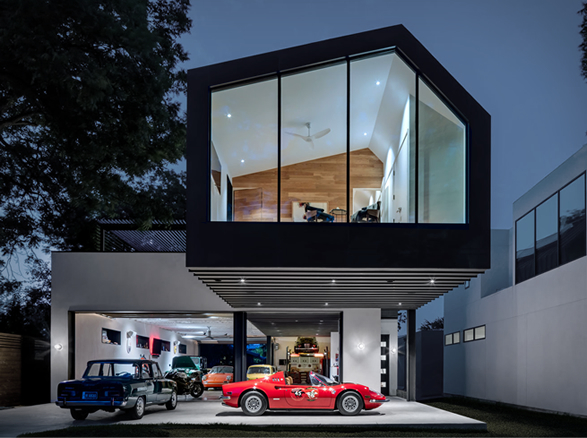 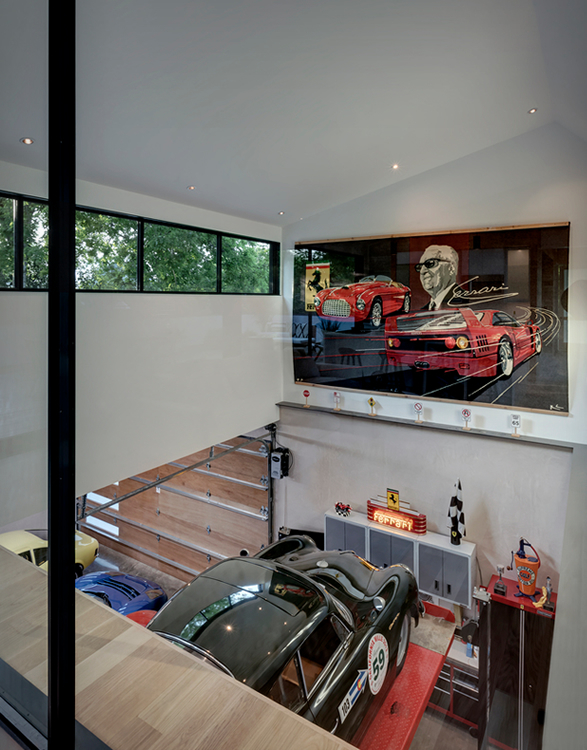 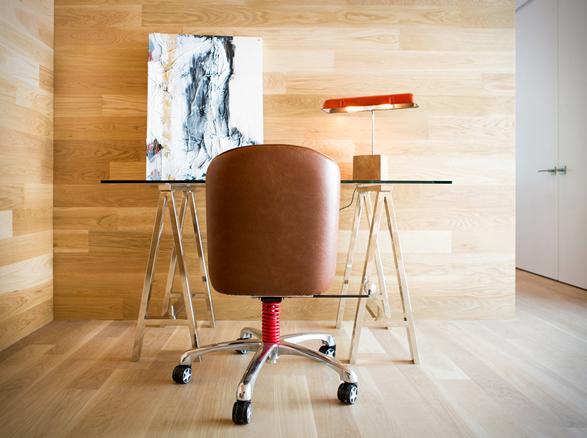 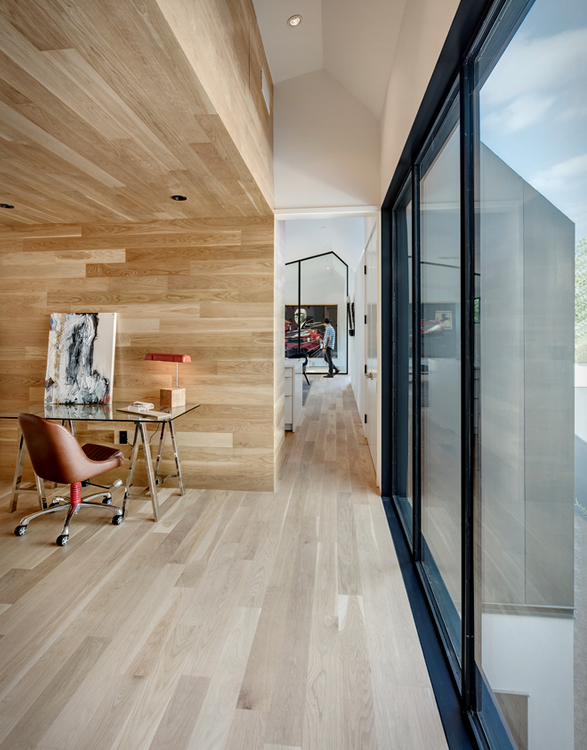 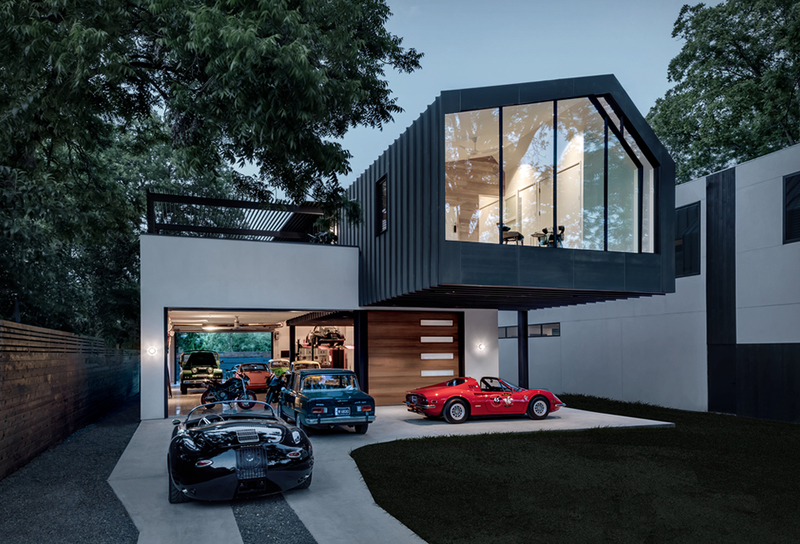 Designed by the Matt Fajkus Architecture studio, the residence features living quarters on the top floor floating above a large open garage where the owner can work-on and showcase his prized car collection. 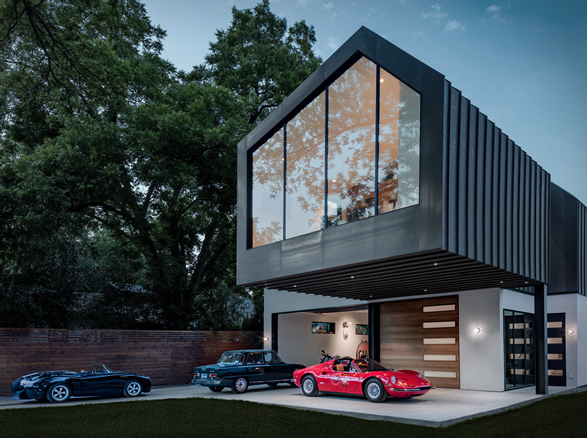 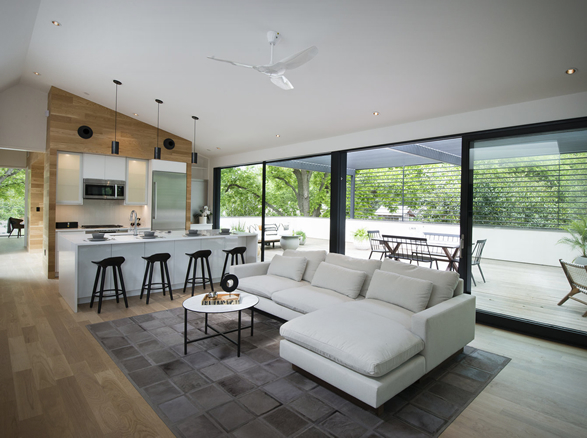 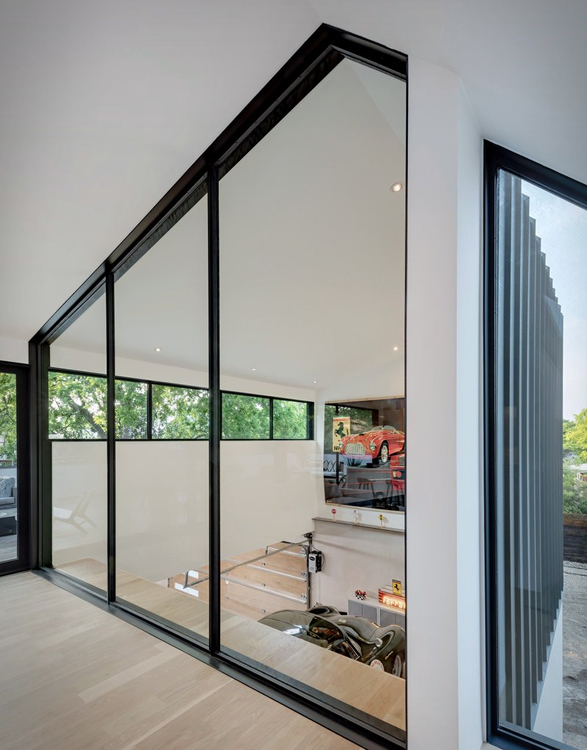 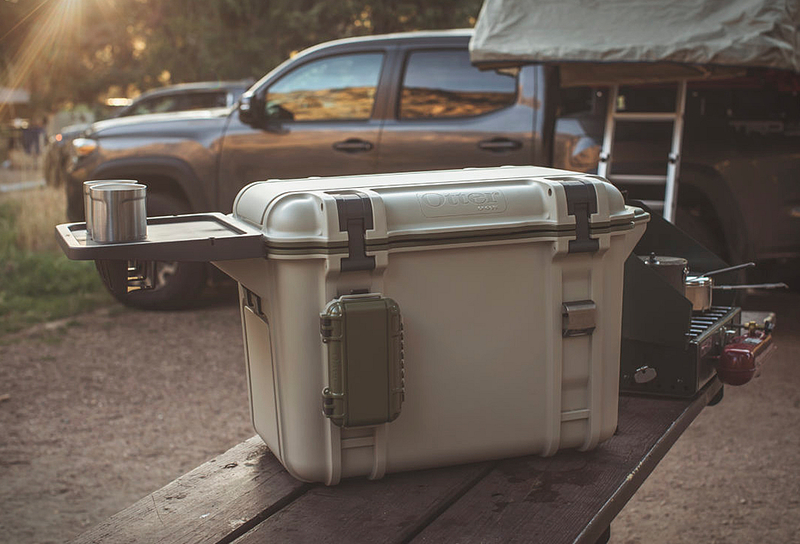 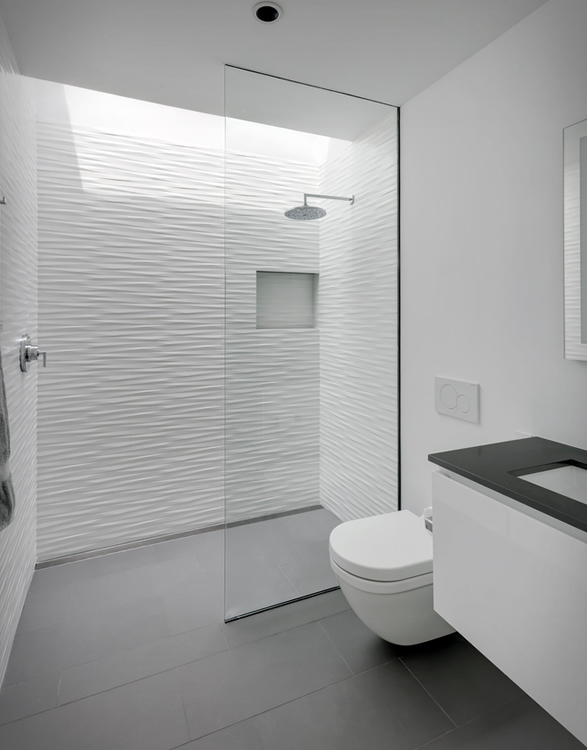 The house also features an innovative Bautex Wall System for security, safety, moisture resistance, ability to control the temperature, humidity, and energy efficiency, in order to protect the valuable cars from the aging effects of the Texas climate.